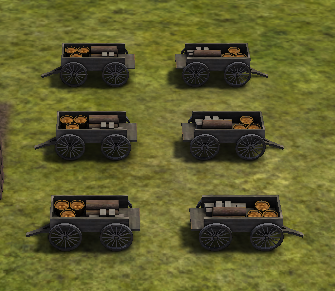 This mod gives you the ability to build storage carts from the game menu. They cost 12 wood to build. For game balance, they are now limited to a volume of 2000, so they aren't significantly better than storage barns. I can't lower it anymore else the starting resources on the hard game wouldn't fit into it.